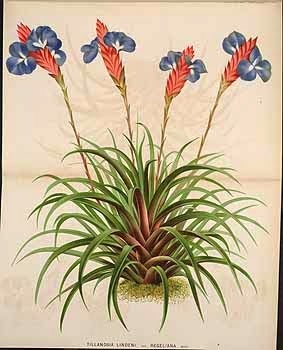 The Tillandsia genus is home to over 700 species of tender evergreen perennials, some terrestrial while others are epiphytic. They are named after the Swedish physician and botanist Dr. Elias Tillandz (1640-1693) and are widely distributed throughout the tropical and subtropical regions of North and South America. 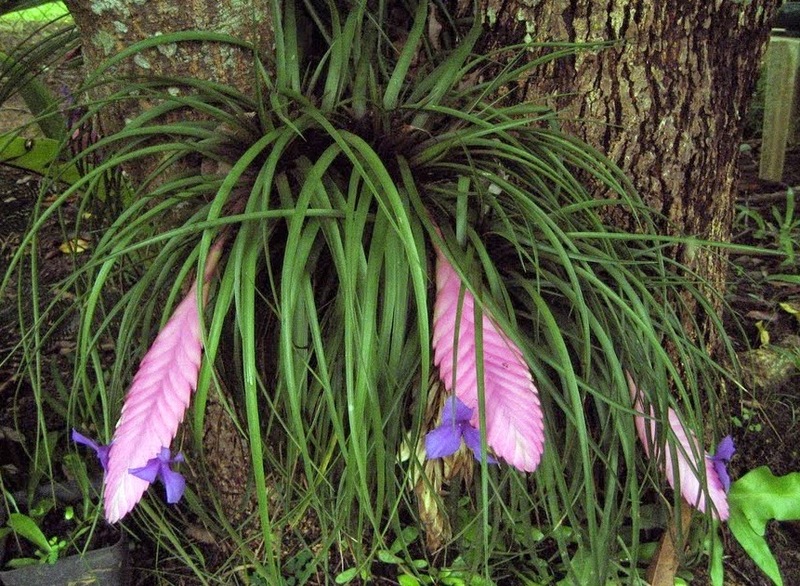 While the Tillandsia name is most commonly associated with a large range of epiphytic air plants, there are a couple of pot grown species which are also in general cultivation. These are Tillandsia cyanea and Tillandsia lindenii. Plant or pot on both species in the spring during March or April starting in 4 inch pots containing equal parts by volume horticultural grade sand and leaf-mould. If leaf-mould is unavailable then osmunda fibre will make a suitable substitute. Water regularly during the growing season, but from late autumn and throughout the winter reduce watering so that the compost reans just moist. Provide a minimum temperature of 10 degrees Celsius over the winter period. Both species will require high humidity so mist spray frequently from April until September, and at least once a day during warm, dry weather. If kept as a greenhouse specimen then provide shading during the hottest months.